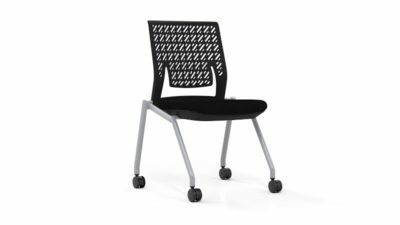 This task chair features height and tilt adjustability. It also features thick foam padding in the seat and back for extra comfort which are covered in blue fabric. 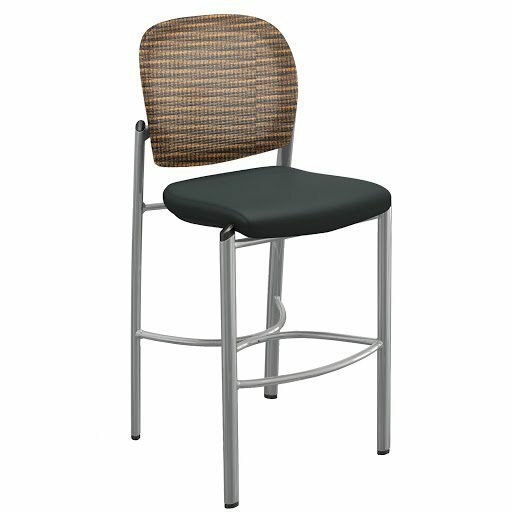 It also features a black base with casters for easy maneuverability and black fixed arms. Check out our pre-owned selection. of blue fabric padded task chair. 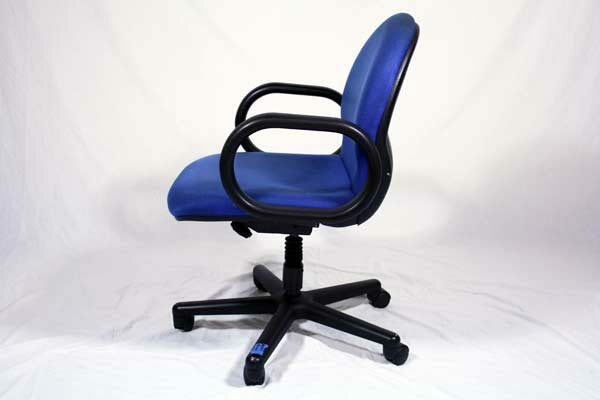 Looking for a used blue fabric padded task chair in Orlando? We have affordable pre-owned Phoenix Designs padded task chairs, in blue fabric, available at our air conditioned showroom. 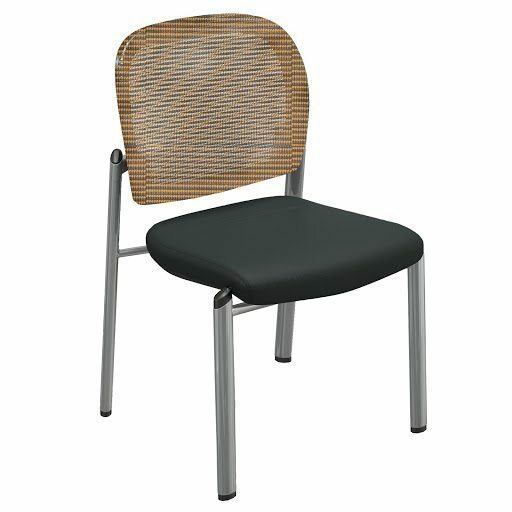 We are your used task chair furniture supplier! Phoenix Designs Task Chair office furniture delivery and set up available in Florida and beyond. 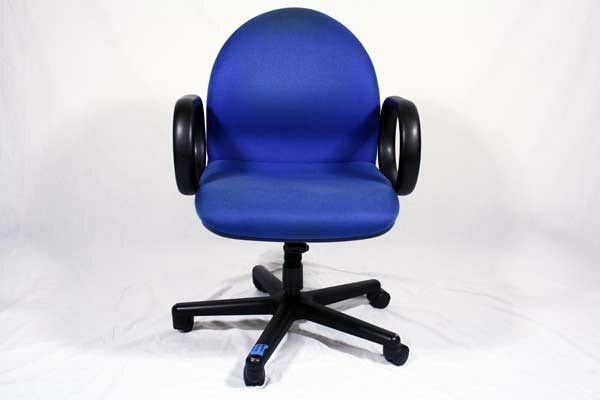 Office Liquidation is your affordable office furniture supplier for affordable pre-owned padded task chairs.